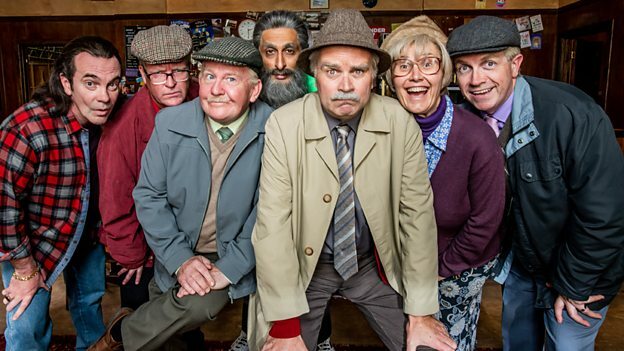 Iconic BBC comedy Still Game will premiere its ninth - and final series - on the new BBC Scotland channel when it launches on Sunday 24 February 2019. The six-part comedy series, made by BBC Studios, will debut on the new channel followed by BBC One when it airs Still Game later in the year, giving fans two chances to bid a fond farewell to pensioner pals Jack and Victor, as they go into TV comedy retirement. This is the first official confirmation of the channel's launch date following BBC Director-General Tony Hall's 2017 announcement that there would be a new BBC television channel created for Scotland. Comedy partners Ford Kiernan and Greg Hemphill - the writers and stars of Still Game - are thrilled the series will be part of the new channel's launch. Greg says: "Jack and Victor are a bottle being smashed on the bow of a beautiful ship and we're absolutely thrilled to be launching Scotland's brand new digital channel with the last ever series of Still Game." Ford adds: "Scotland is where Still Game's roots began and it's right the story comes to an end here. From the early beginnings on radio, through to TV, we started to build Still Game in Scotland - so we're honoured our show will be part of the launch of a new BBC channel from Scotland. We're looking forward to our audience joining us at the end of our fabulous adventure." Steve Carson, BBC Scotland's Head of Multi-platform Commissioning, says: "To have this iconic Scottish comedy launching on BBC Scotland is great news for our audiences and a fitting farewell to the gang that have made the nation laugh for over a decade. Ford and Greg are bringing Still Game home to Scotland and we are thrilled to have the final series at the heart of the BBC Scotland channel launch. "This last series will be a truly fitting send-off, with twists and turns along the way and life changing surprises in store for our favourite regulars - it's a real must-see for all Still Game fans." Shane Allen, Controller, BBC Comedy Commissioning, says: "Still Game's huge and enduring popularity has earned its place as a modern sitcom masterpiece. These much loved characters deliver the famous Glaswegian humour to screens across the nation with a show that bows out on a hilarious high and will be enjoyed by audiences for years to come." The last-ever Still Game once again reunites all of Craiglang's comedy pals including Jane McCarry (Isa), Sanjeev Kohli (Navid), Gavin Mitchell (Boabby), Paul Riley (Winston) and Mark Cox (Tam) for six new episodes. 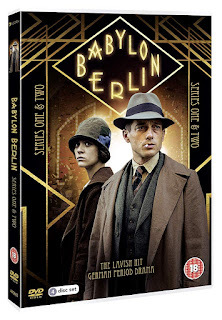 It also features guest stars including Martin Compston (Line Of Duty), singer-songwriters Midge Ure and Amy MacDonald, James McPherson (Taggart) and DJ Des Clarke alongside Still Game favourites Scott Reid (Methadone Mick), Bruce Morton (Sheathing The Undertaker), Lynne McCallum (Peggy), Maureen Carr (Edith), Shamshad Akhtar (Meena), Paul Young (Shug), Matt Costello (Stevie The Bookie) and Kate Donnelly (Frances). In 2017, Tony Hall, BBC Director-General announced a new BBC television channel for Scotland. The channel is part of the BBC's additional £40m a year investment into the BBC in Scotland which will increase output for the UK. The initial budget for the channel is just over £32m. BBC Scotland will be multiplatform. It will have a home on iPlayer and be connected to BBC Scotland's full range of Radio, Online, Social and other TV services. Since making its TV debut in 2002, Still Game has become a comedy phenomenon. 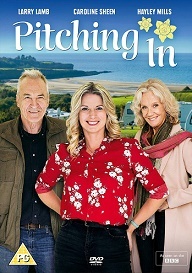 When it returned in 2016 after a nine year hiatus, it became the most-watched TV programme in over a decade in Scotland attracting more than half of the viewing audience. Still Game was commissioned by Shane Allen, Controller Comedy Commissioning and Charlotte Moore, Director of BBC Content. 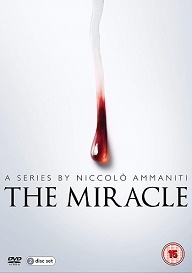 It is executive produced by Steven Canny for BBC Studios and Gregor Sharp is the Commissioning Editor for BBC Comedy and Gavin Smith for BBC Scotland. The series is produced by Jacqueline Sinclair and directed by long-term Still Game collaborator, Michael Hines. Still Game highlights the BBC's continued commitment to production made in Scotland for UK-wide audiences including productions like Shetland, The Cry, The Victim and Two Doors Down.